The vertical and horizontal lines, drawn only on the globe or maps, are imaginary lines. The equator in the basis for all the horizontal lines are known as latitudes and along with each latitude makes a complete circle. The equator 0° latitude passes exactly through the halfway between the North Pole andSouth Pole, the two opposite ends of the earth. It thus divides the earth's surface into a northern and southern hemisphere. There are altogether 180 latitudes, 90 on each of the two hemispheres. They are marked N or S according to their hemispheres. The latitudes are of varied lengths; the equator is the longest and poles (90°) merely a point or no more a circle. As latitude increases, the temperature decreases. As the latitude increases, there is different in the length of day and night. Latitude is used to find out the location of any place. 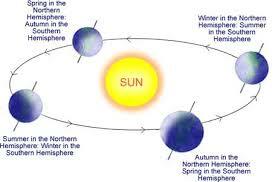 While the latitudes run from the east to the west, the longitudes run north to south converging at the poles. There is no prime longitude at the equator, the longest and at the midway between the two poles could be. All longitudes are half circles and of equal lengths. They form a right angle at the equator. Of the total 360 longitudes, the one passing through Greenwich in London in arbitrarily taken as the prime Meridian, the basis for all longitudes.The prime Meridian and 180° longitude, just opposite, together divide the earth's surface into two hemispheres- the eastern and western hemisphere. Hence, longitude is the angular distance of a place east or west of the Greenwich meridian, or west of the standard meridian of a celestial object, usually expressed in degrees and minutes. It refers to the imaginary line that bisects the globe through the North and the South poles.The lines on the eastern hemisphere are marked E and the ones in the west carry W for their notification. There is a difference of 1 hour in every 15-degree longitude. The time of some areas of the eastern side of some longitude may be fast whereas the time of western side may be late. There is a change in day and date after crossing International dateline. There is a difference of 24 hours in both left and right side of this line. First we say how far from the equator a place is. This is its latitude. Then we must say how far from the prime meridian to east or west, is the place situated. This is its longitude. We can see that the position of the southern tip of Africa in approximately 35°S, 24°E. Thus, latitudes and longitudes together make a geographical grid according to which a place on the earth make a geographical grid according to which a place on the earth can be designated precisely. This in an actually same system of coordinates in geometry. When we have to designate the location of a larger area, we take two farthest latitudes on its north and south and two longitudes passing along its western borders. We say Nepal lies between 26°N and 30° N latitudes and between 80 °E and 88°E longitudes. Each degree of latitude and longitude in divided further into 60 minutes and each minute into 60 seconds. This division allows designation the location of a place more precisely. It in more precise to say numerically that Nepal extends from 26°22'N to 30°27'N latitudes and from 80°4' E to 88°12'E longitudes. 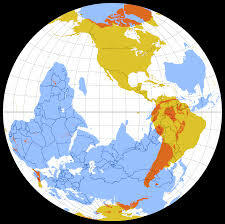 The parts of the earth diametrically opposite are called antipodes. If the antipode of northern latitude is southern latitude than the antipode southern latitude is northern latitude such as the antipode of 20-degree northern latitude is equal to the antipode of southern latitude. 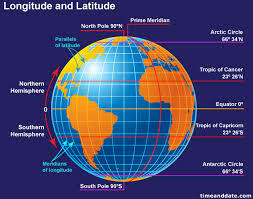 Latitude is a geographic coordinate that specifies the north-south position of a point on the earth's surface. Longitude refers to the imaginary line that bisects the globe through the North and the South poles. The parts of the earth diametrically opposite is called antipode. What are the latitudinal effects? Write down. Write down the longitudinal effects. Write about the antipodes of latitude. If the antipode of northern latitude is southern latitude than the antipode of southern latitudes northern latitude such as the antipode of 20-degree northern latitude is equal to the antipode of southern latitude. What type of line is longitude line? Which is the imaginary line extended from East to West or South to North poles? How many longitudinal lines are there to represent the entire angular distance of the earth surface? How many latitude lines are there? Which is the longest latitude line? Any Questions on 'Latitudes and Longitudes '?